If you’ve been keen on laptops these past few years, then you probably may have heard a thing or two of the Eluktronics brand. Eluktronics is an upcoming OEM brand that’s hitting the tech scene with a storm. Honestly, we believe they ought to receive more recognition than they are currently getting as a result of their impressive laptop releases. Setting up a brand name is not a trivial matter, and a few years may just be the investment Eluktronics needed to get their name out there. Anyway, that aside, today we review the Eluktronics N857HK1 Pro-X Special Edition Gaming laptop. For all those who think the Eluktronics N857HK1 Pro-X sounds familiar, yes it does. 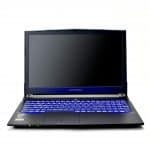 It is in the same family as the Eluktronics N850HK1 Pro-X gaming laptop we reviewed not so long ago. The main difference between the two is that the Eluktronics N857HK1 Pro-X builds upon the N850HK1, but adds a few aspects of its own making it perform with flair. The Eluktronics N857KH1 Pro-X packs enough raw power and performance to muscle through games and office tasks. Its big honking screen is just the right size. It provides ample screen estate for working and gaming on for long hours. Whether you’re thinking of fragging your enemies in virtual reality or just watching movies over the weekend with friends and family, the N857HK1 Pr-X has you sorted. The Full HD and graphics card should come through for you just perfectly. Additionally, you get plenty of storage for media which virtually every user requires. If you’re gaming on a budget, the Eluktronics N857HK1 Pro-X Special Edition 15.6-Inch Gaming Laptop Amazon marks the sweet spot between performance and pricing hence we recommend it. 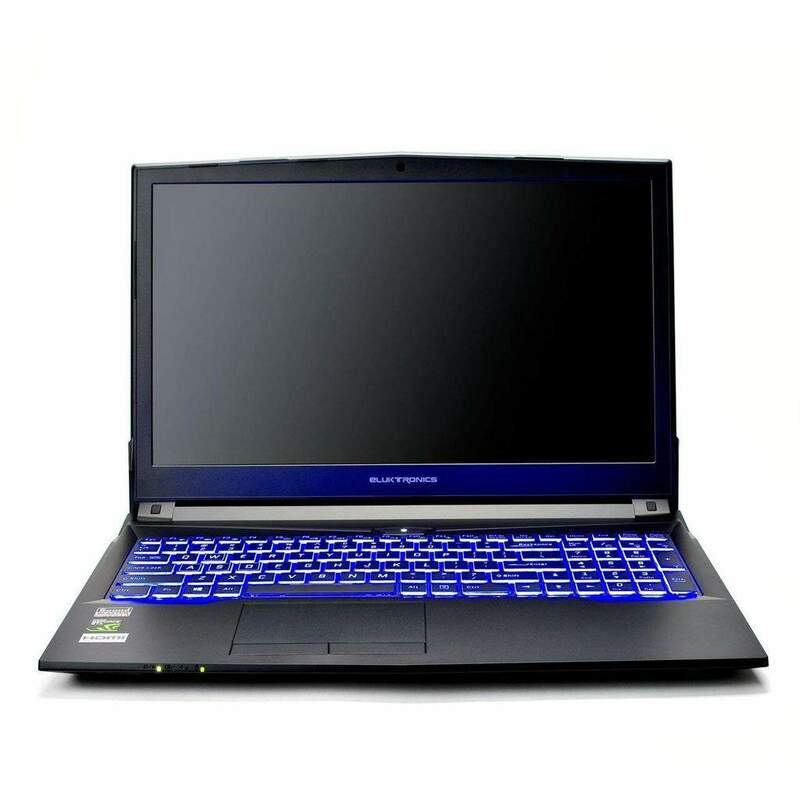 The Eluktronics N857KH1 Pro-X Laptop is a budget gaming laptop with an eye-catching chassis, a strong processor and solid graphics. Those are almost the same words we used to describe the Dell Inspiron 15 7000 which also had a low $799 starting price. Even though the Inspiron steals the show with its luscious red accentuated case and backlit keyboard, our unit has its own appeal. It’s a perfect candidate especially fit for those looking for a less gaudy laptop. That’s right, the Eluktronics N857HK1 is subtle by design – a defining appearance across most of the Eluktronics laptops. Case in point, the Eluktronics the N series. The front side showing the medium sized bezel, backlit keyboard, and trackpad. You can confidently tag along with it to the office without it screaming gaming. The case is made of Aluminum which sets it apart from the Eluktronics N850HK1 laptop brother. Also, this system comes with a default red LED-lit keyboard as opposed to the blue default on the N850HK1. FYI, the backlit keyboard lights can be switched off using the Flexikey on the board. The lid features an Eluktronics logo that lights up when the laptop is on. The lid is also lined with edges that give the laptop a slight gamer feel. Lifting the lid reveals the decently sized side bezel, the top arched bezel with a 2.0MP webcam and the slightly thicker lower bezel with the Eluktronics logo. Moving on, the keyboard looks and feels comfortable. It sports a full-sized number pad on the right section of the board (It is a Full-sized RGB Backlit keyboard). We loved the palm rest which we found quite accommodative and spacious. A good laptop should have plenty of room for the wrist to rest on while working, which the Eluktronics N857HK1 Pro-X covers all too well. The trackpad is aligned to the left meaning this laptop is great for right-handed folk. Others (left handed) might have to cope with it that way. The trackpad is responsive to gestures so won’t have any qualms with it. The bezel surrounds a Full HD (1920 x 1080) screen working with an IPS panel. Because of this, viewing angles are great and details on the screen are sharp, clear and with a splash of color. Watching movies and playing games should be bliss on this 60Hz screen. At 14.88 x 10.51 x 1.06 inches and weighing in at 5.6 lbs, the Eluktronics N857HK1 Pro-X is not exactly light. But it weighs similar to the Eluktronics N850HK1 Pro-X Special Edition laptop (5.6 lbs), and lighter in comparison to the Acer Predator Helios 300 Gaming laptop (15.3 x 10.5 x 1.1 inches, 6 lbs). The Eluktronics N857HK1 Pro-X has a plethora of ports on its right side. Both sides of the laptop are surrounded by ports for easy peripheral connections as well as data transfer. The ports made available include two USB 3.0 ports, one USB 2.0 port, one USB 3.1 Gen 2 port (Type C), an HDMI port, two Mini Display Ports, a Gigabit Ethernet port, an SD Card slot, a headphone jack, and a microphone jack. The list of specs coincides with the Eluktronics N850HK1’s including the USB Type-C for rapid data transfer (Gen 1 – up to 5Gbps). But it is notably a bit different on the Predator Helios owing to the Nvidia GTX 1060 graphics card ports. Nonetheless, they both share a Kensington jack, headphone jack and for wireless connectivity dual-band 802.11ac Wi-Fi and Bluetooth (Bluetooth 4.2 on Eluktronics). Our unit stands ahead on this front for having a Fingerprint Reader and a TPM 2.0 chip installed for extra security. This machine is more secure than most laptops you’ll find in the market – some of which even marketed as business laptops. I bet this it makes a far better business machine than most, save for the weight. But if you carry your machine only from the car to the office, and can’t help but binge in games after work, this might just work for you. When not gaming, the Eluktronics N857HK1 can help get some serious work done. If you’re into media – photo and video editing – the graphics card and Full HD display will prove quite advantageous. This unit further comes with a 512GB worth of solid state storage volume with a PCle interface to the motherboard. It offers far faster read and write speeds than its predecessor (SATA), offering between 4 and 5 times faster speeds. That means boot times are reduced to seconds, as well as loading application. It’s a total overhaul, from MS Word all the way to games and heavy software. The Eluktronics N857HK1 Pro-X underside revealing its vents, fans, speakers and stands. Coupled with that is a 2 TB hard disk drive, far more than what I would need for my day to day work. Perhaps that applies to you too, but it sure is good to have it around. The 32GB RAM, on the other hand, is more than you need for productivity and sufficient for the most demanding of games. With such RAM, you can have more than a dozen tabs open on Google Chrome, work on MATLAB while streaming high-quality video on Stream or YouTube without hints of lag. The 6 –Cell 62WHr battery lasts up to 4 hours on light use and 2 to 3 hours while gaming. Eluktronics offers a number of configurations and your choice really depends on the kind of performance you expect or the tasks you anticipate to handle. Our unit was the 2nd highest configuration available on this configuration list. But if your needs aren’t as intensive, you can opt for the 2nd (128GB PCIe SSD | 8GB RAM) option. Users looking for a budget entry-level gaming laptop should look no further than the Dell Inspiron 15 7000 owing to its less than $800 price tag (for the base model). But that’s only for those who don’t mind the purty Hibiscus Red lid and lower Nvidia GTX 960M GPU. Our unit follows closely with its base unit price tag that’s a few dollars shy of $1000. However, the Eluktronics N857KH1 Pro-X appeals to the pinch-a-penny-make-Lincoln-cry aspect of my personality with the vast and stronger variety of configuration available. Additionally, it offers a Full-HD display, fast Core i7-7700HQ processor, Nvidia GTX 1060 GPU, a decent battery, decent price and great build to top it all. It is a great laptop delivering solid frame rates without blasting through your wallet and as a result, is easy to recommend. Update: If you still haven’t made up your mind and need a better option, the Acer Predator Helios 300 offers similar specifications and budget price, but it is for those who don’t mind a gamer aesthetics. It manages to stay a tad ahead of the Eluktronics thanks to the 6GB DDR5 VRAM Nvidia GTX 1060 graphics card. Bottom line, since the Eluktronics N857HK1 is out of stock, you probably should check the Acer Predator Helios 300.